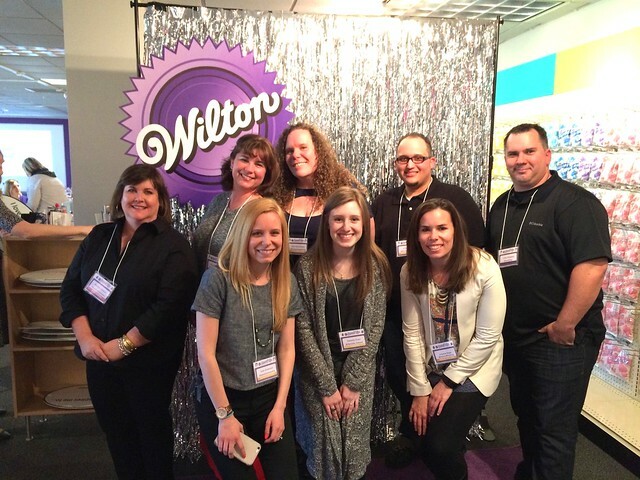 Disclaimer: I was provided an all expenses paid trip to the Wilton Headquarters as part of the 2015 bloggers ambassador program. All opinions are my own. Last weekend was quite an eventful one! Actually this whole month has been full of travel, lots of new friends and very little sleep. Today I am elbow deep in frosting as I am baking for my friends wedding for 200 people. I can’t wait to share the details! I announced earlier this year that I have joined the Wilton’s Sweet Treat Team for 2015. This was an amazing invitation and I could not be more thrilled to be working for such a great company. I use so many of their products already, and I have taking a few different courses the summer before I started my blog. 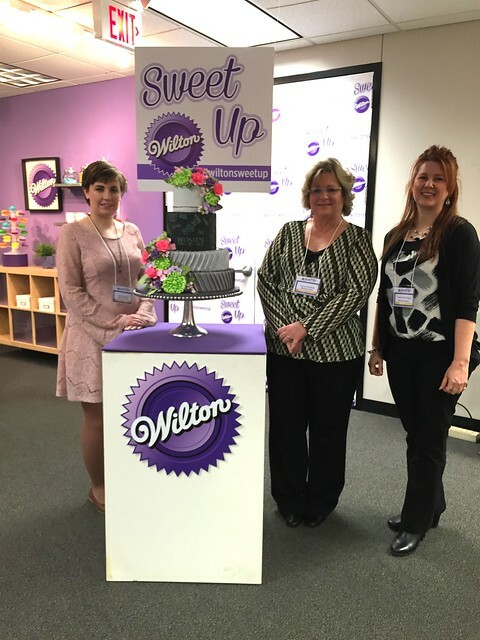 It was really a unique experience for me to visit their headquarters last weekend for the Wilton Sweet Up event. 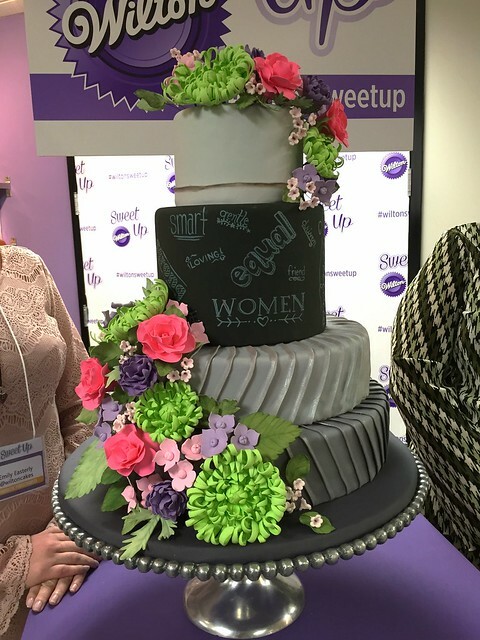 During the Sweet Up, we were treated to tours of their various facilities including the Wilton School of Cake Decorating, the test kitchens and the super secret decorating room where they work on projects for future seasons. It might be April but these professional decorators were already working on Halloween and Christmas! 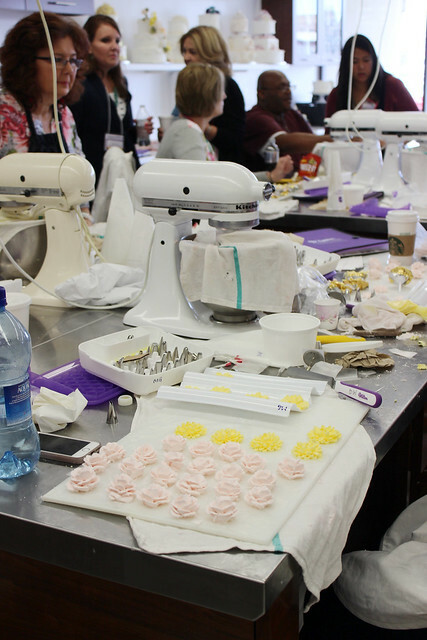 We also had the opportunity to participate in some hands on classes that involved “baking with booze”, cookie decorating with royal icing and styling a dessert table. 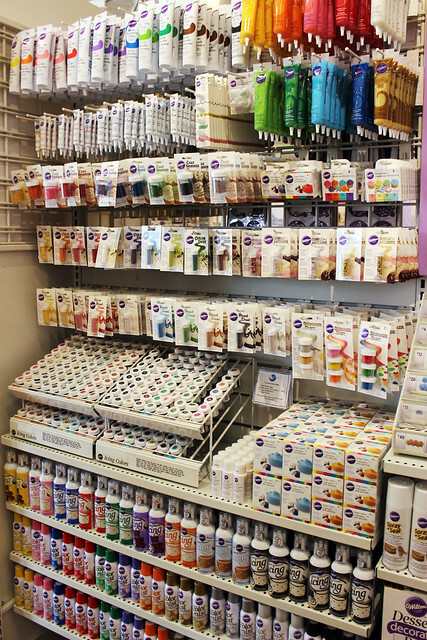 Each April, Wilton was releases their new products for 2015. I had the opportunity to try and test out some of these products before my trip, but it was awesome to see them truly come alive! 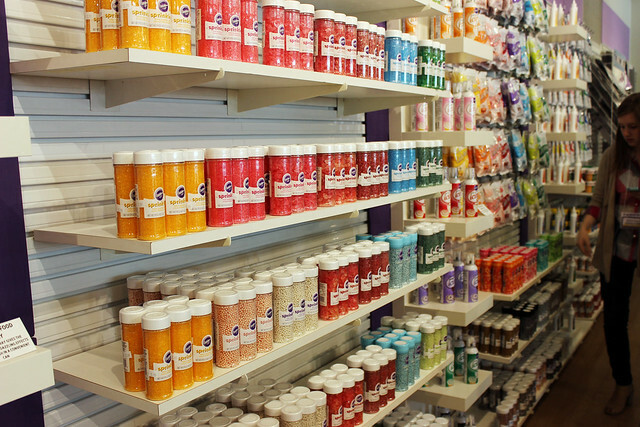 Among them, there is the new Treatology flavoring system, Color Right Color System, mega bakeware and much more! If you are here for the giveaway, scroll to the bottom of this post, all of these are included! This event was a bit different for me because I didn’t know anyone who was going to be there! Normally I know at least one person. 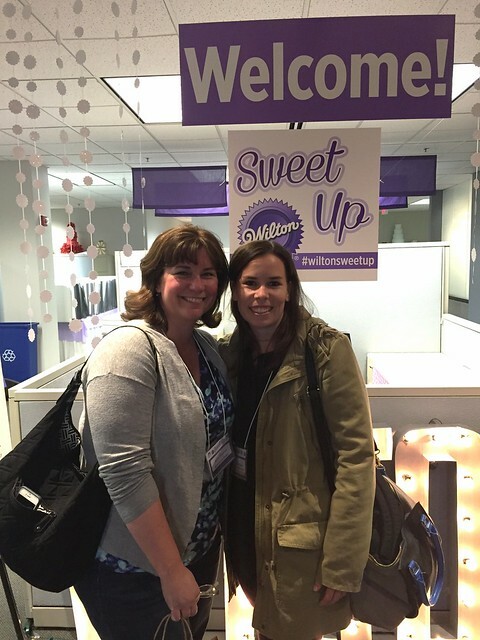 It was a great opportunity for me to meet new people as well as the other bloggers who are on the Sweet Treat Team. What a fun group! I rode to the hotel with Maryiln from Pink Martinis and Pearls. Marylin is widely talented, and such a doll. She also took her honeymoon on the east coast and spent some time in Vermont, so I feel like we were destined to meet. She only lives a couple hours for me, so I am going to surprise her one day and beg her to teach me her cookie decorating wisdom. I also got to meet Karyn from Pint Sized Baker! Thursday night we were treated to dinner at their headquarters and cocktails specials from Tito’s Vodka. Wilton has partnered with Tito’s on some boozy baking in 2015 because Tito’s vodka has such a mild flavor that it is great to bake with! I have to pick myself up a bottle. We were given a crash course in baking trends for 2015 and Wilton revealed the Cake of the Year! It was a gorgeous blend of color and detail. 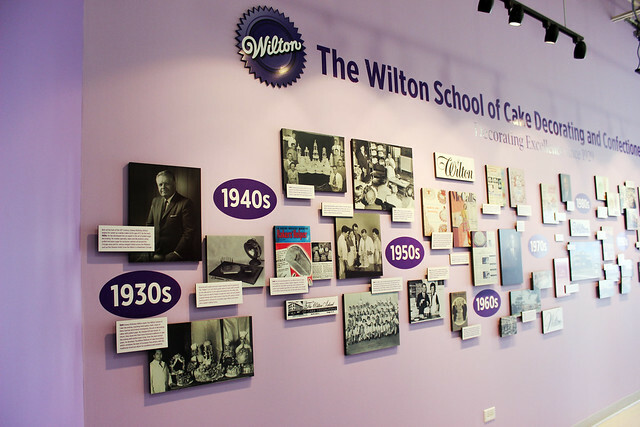 Friday am we were up bright and early and whisked away to the Wilton School. 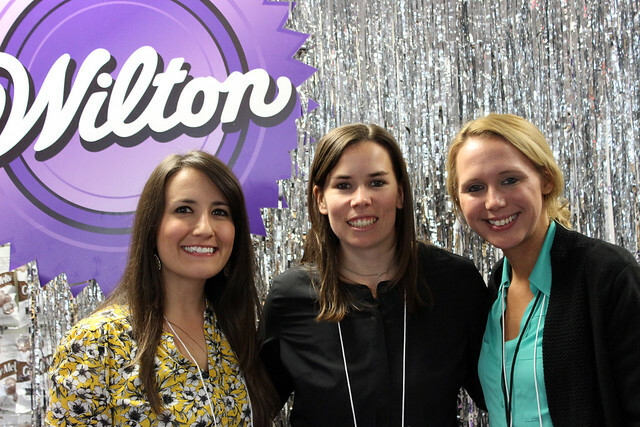 We started off the morning with boozy baking hosted by Beth and Elizabeth from Wilton. Beth was such a trooper and shared with me her uber knowledge about how to get cookie cups to release from the pan. Peep the video on my Instagram! 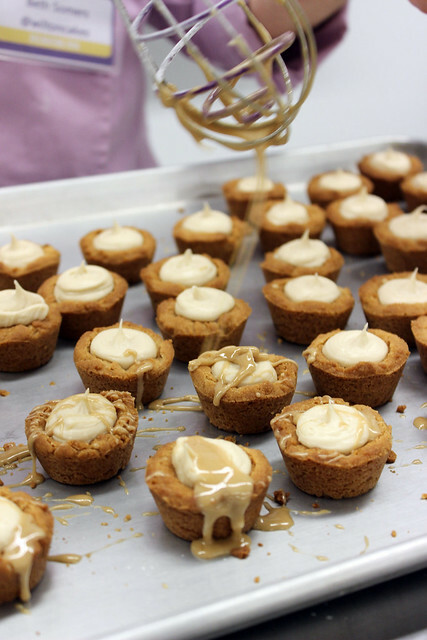 We made White Russian Cookie Cups (HELLO! 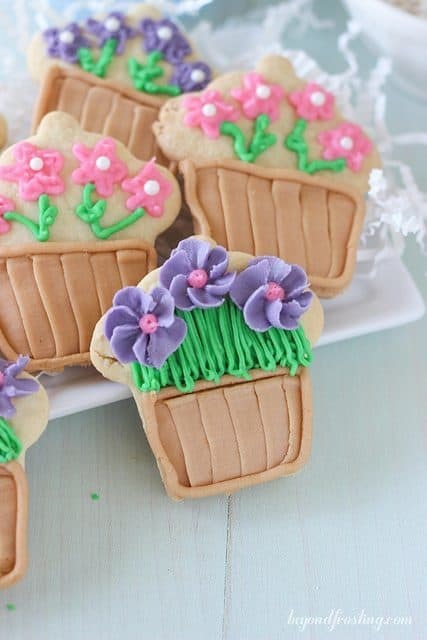 I will recreate these soon!) and Bloody Mary Muffins. We were able to try out their new mega bakeware, which makes 48 mini muffins/cookie cups or cupcakes. They also have a mega muffin pan that makes 24 muffins all in one tin! 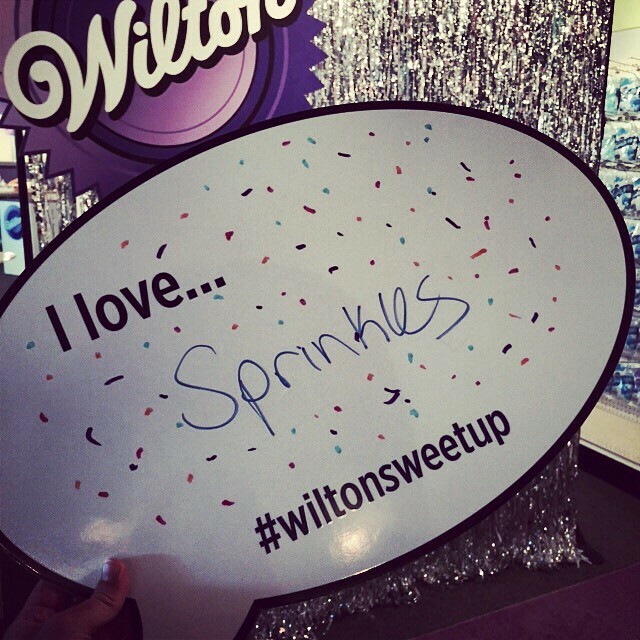 After our baking session we were let loose in the Wilton store, where it was rows and rows of sprinkles, cupcake liners, bake ware and everything in between! It is a baker’s dream. 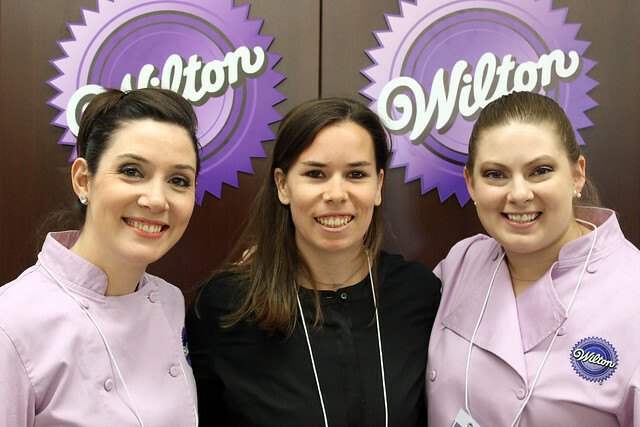 We returned to the Wilton headquarters for our afternoon cookie decorating session with Amber Spiegal from Sweet Ambs. I have worked with Royal Icing before, but it is not my favorite. 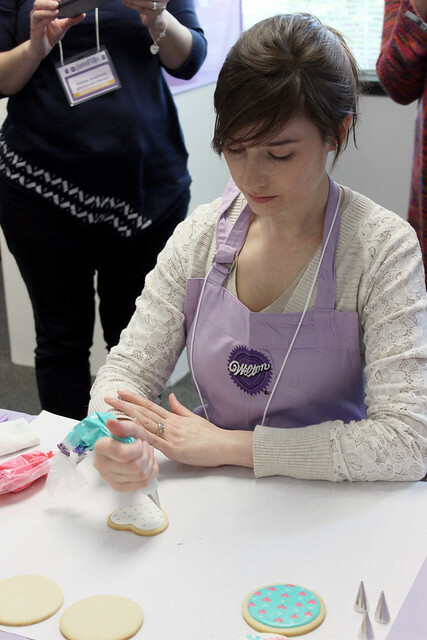 There are all kinds of factors that can effect royal icing and I never get a grasp on whether it is good or not. Amber made it look so easy! The cookie decorating was pretty fun though. We got to mix our own colors with the new Color Right Color System. The Color Right system gives you very specific combinations of dye colors so that you can get the same color every time. Have you ever run out of frosting before? 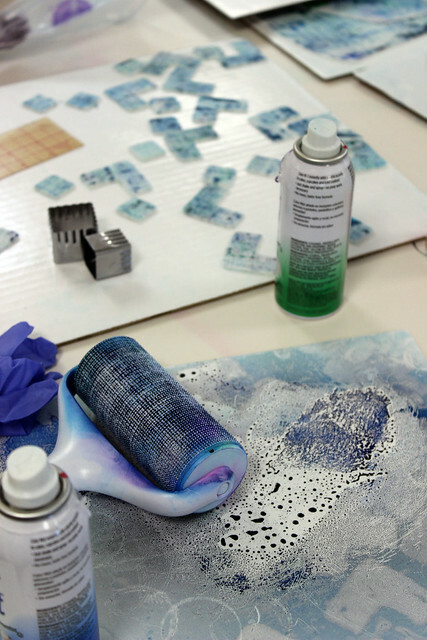 It is nearly impossible to dye the same color again. I am so excited to play around with this a little bit more. Best of all, it takes the guess work out of it with numerous shades of color combinations. I still need a lot of work with cookie decorating, but I will call this class a success! These are NOT my cookies by the way, haha. These are Amber’s, she is amazing. 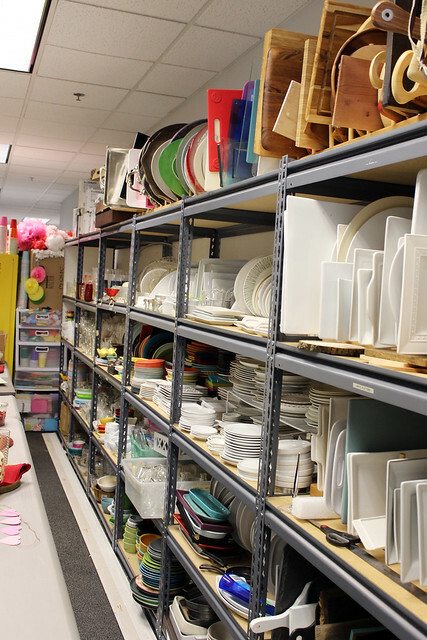 During our visit, I mentioned that we got to peek inside the decorators room. It was pretty amazing to see the different ways they design and decorate which is used for packaging, tutorial and all sorts of things! They even let us take a few pictures. I posted a really fun Instagram video from behind the scenes too! 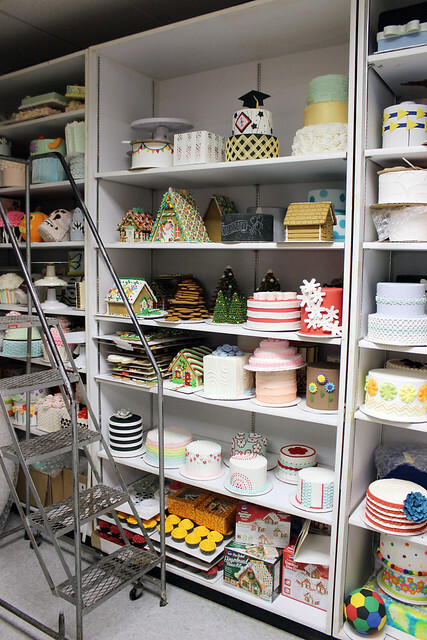 We also got to see the “cake vault” which is wall to wall cakes, cupcakes and cake pops that have been decorated over the years. There were cakes on display throughout the office, but it was really cool to see so many cakes in one place! For those of you who might not know, it is common to decorate a show case with a styrofoam mould. In the afternoon we had a brief contest to taste the new Treatology Flavor System. There are 8 unique flavors of “extracts” that are not found anywhere else! Flavors include: Vanilla Custard, Fresh Basil, Crisp Champagne, Sweet Meyer Lemon, Warm Cinnamon Graham, Peach, Salted Caramel and Toasted Coconut. There were cookie and frostings and we had to guess the various flavors in the cookies! It was pretty incredible and there will be recipes coming soon! 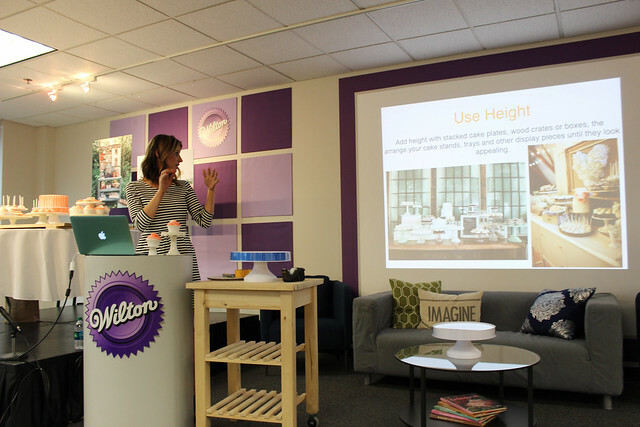 We finished out our day with a presentation with Jenny Keller from Jenny’s Cookies. Before the session, I peeked around on Jenny’s blog and Instagram and I knew I was really going to enjoy this! Jenny has the MOST gorgeous dessert tables and has done some pretty high profile events. Plus she has a farm house and I am pretty much ready to move in. 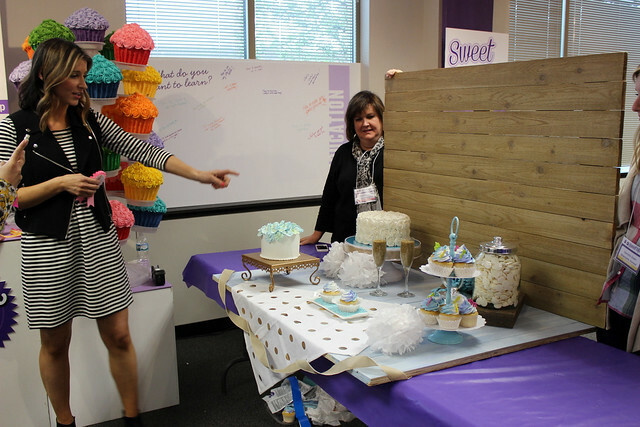 She gave us twelve tips to creating the perfect dessert table including: Choosing a theme and color, Plan ahead to get things gradually, mix and match with height, create a backdrop if needed, use contrasting colors and know your audience. After our session with Jenny, we had a little contest. We were split into groups and were given about thirty minutes to style our own dessert table using different props from around the room. It was quite the stressful time, but it was really fun. I am SO impressed by the different tables that each group came up with! Dessert tables are my absolute favorite! I even have a whole Pinterest board dedicated to it. 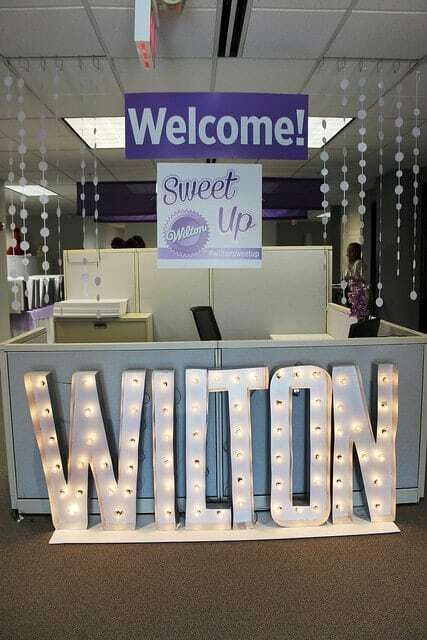 My time with Wilton was such a unique experience and the team at Wilton did such an amazing job putting together the Sweet Up event! I feel so honored to have been a part of this! Thank you to Michelle and Desiree for all your hard work! 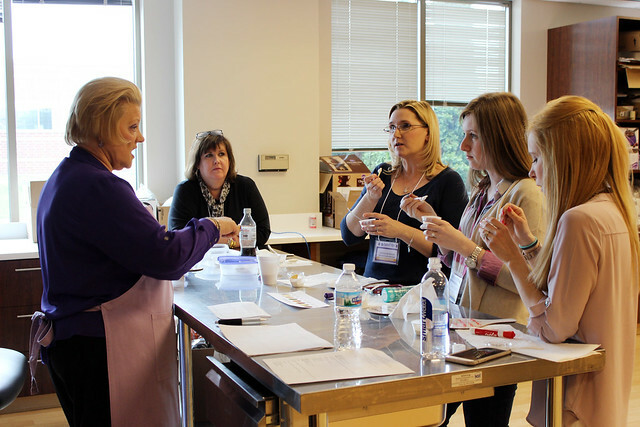 Color-Right Color System – Create the perfect color every time! 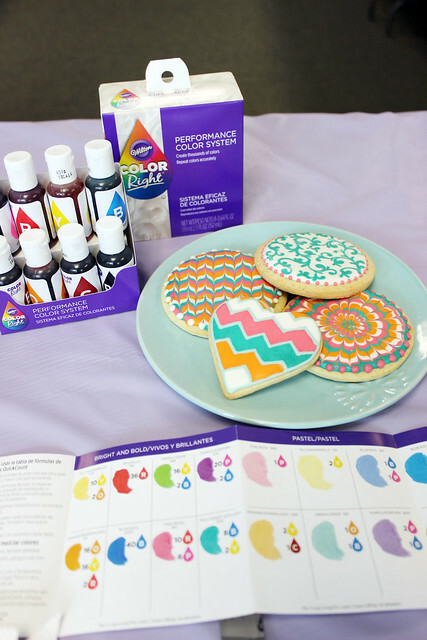 Color Swirl Tri-Color Coupler – Creating a swirled frosting just got easy! Variety of Cupcake Liners – Who doesn’t love cupcake liners? 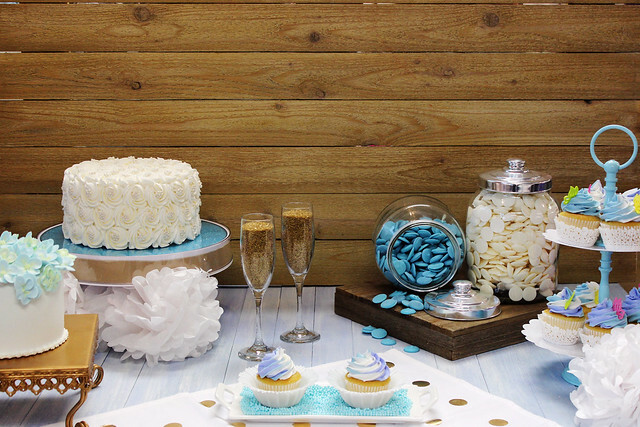 Display Your Way Cake Stand – Wait till you see this easily customizable cake stand! Display Your Way Cupcake Stand – Adjustable from 5 to 25 cupcakes. 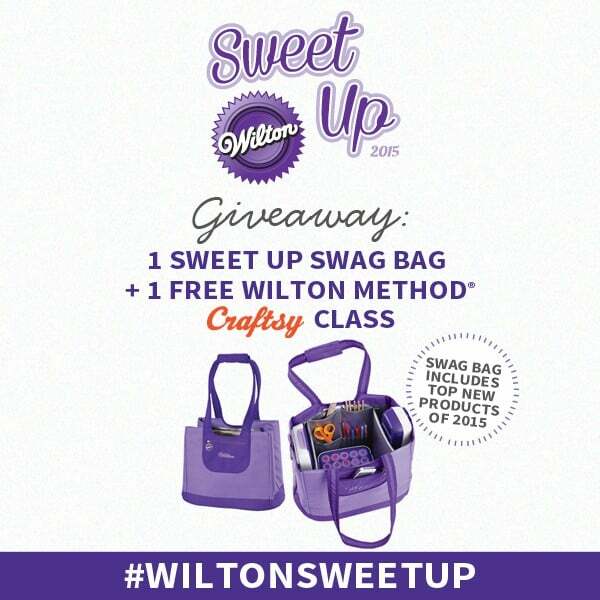 Plus, they are giving you the chance to take a free Wilton Craftsy class online! How cool is that?! If you like to bake, you won’t want to miss out on this giveaway! Giveaway is open to US residents 18 years or older. The contest is open through May 8th!